After our last article on Paul Pogba's biography, the next on our list will be no one else other than the mighty Romelu Lukaku. In case you missed Pogba's biography, you will need to see his current net worth, visit page now! We will be seeing Romelu Lukaku's biography, date of birth, age, family, parents, girlfriend, football career, net worth, cars, houses and social media handles. Lukaku is a Belgian footballer who plays for both the Belgian National Team and the Manchester United. He was born and raised up in Belgium, and started playing football at a very young age. Having joined his first club, 'Rupel Boom' at the age of 5, he was eventually discovered by a larger team, 'Lierse' and joined their youth program. He scored 121 goals in 68 matches while playing with them and that got him a contract with 'Anderlecht'. It didn't take him long to emerge as the lead scorer in the 'Belgian Championship' and he joined Chelsea in the year 2011. He was loaned to West Bromwich Albion in 2012 and signed a three-year contract with Everton in 2014. After that, he signed a five-year contract with the Manchester United in 2017 and is still in that now. Romelu is widely known to be an aggressive footballer and normally uses his body to get around the defenders. Talking about his biography, Romelu Lukaku was born on the 13th of May, 1993 in Antwerp, Northern Belgium. His parents, Roger and Adolphine were blacks and belonged to the minority Belgian black community. 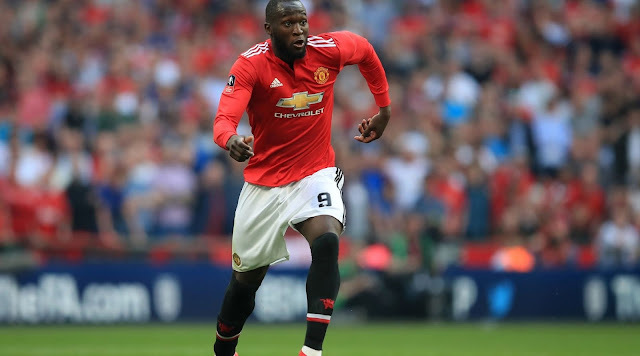 His father had always been a football fan and never missed a single Premier League match, and Lukaku would spend hours on TV watching them with him. Not only that, his father was also always a known footballer and had been playing international matches for Zaire. Lukaku became addicted to video games and was fairly good academically. His younger brother, Jordan also followed suite and no doubt, they were from a sports-loving family! Anderlecht presented a three-year contract to Lukaku at age 16, in the year 2009. During this period, he became a key member of the Anderlecht's first football team and had ended the season with 15 goals, making him the leading goal scorer. It was his performances that helped Anderlecht attain the Belgian title. They also reached the top 16 at the UEFA Europa League. The next season, Anderlecht ended up loosing the title however Lukaku scored 25 goals and his performance was praised. The Premier League cup, Chelsea showed interests in him and signed a five-year contract in the year 2011. Lukaku was named the 'Man of the Match' in his debut game against the Blackburn Rovers. He was loaned the West Bromwich Albion for a season and scored a goal in his debut game against the Hawthorns. After his season, he expressed his desires to stay for one more season and ended the season as the sixth-highest goal-scorer. In 2013, he went back to Chelsea and was loaned to Everton for a season. He was named by 'The Guardian' as one of the top 10 goal scorers and scored 15 goals in 31 matches for Everton. He later signed a five-year deal with Everton. In Decemner 2015, Lukaku scored goals in six consecutive matches, making him the first Everton striker to score in seven matches across all the competitions. He signed a deal with the Manchester United in 2017. Romeo Lukaku has been dating his girlfriend, Julia Vandenweghe since 2014 and they are in a happy relationship. He can speak English, Dutch, Portuguese, French, Spanish and a little German. He has also featured in a documentary titled 'De school van Lukaku' as himself, and it was produced by a Dutch channel when he was still a teenager. The 25 years old player was being paid £40,000 when he was still in Everton, so his changes in football team would have also involved improvements in the weekly salary. Lukaku is currently one of the biggest Manchester United players. He plays for both the Belgian National football team and the Manchester United. He is currently estimated to be net worth £15 million. What's more? Thanks for reading along! Don't forget to drop us a comment and share to your friends. Before you leave, also check out this article on how you can start making $500+ monthly online writing about sports. It's time to start making money off your knowledge of football, visit article now!